From Bebe Rexha to Katy Perry, here are all the looks from the 2019 Grammy Awards. UPDATE: Katy & Zedd have kindly shared the release date and video promos. Check them out below. As much as I love cryptic Twitter promo (in the form of swapped emojis), it’s time for Katy Perry and Zedd to release “365.” After all, the song leaked weeks ago and Katy Cats already know the words. So when is it coming? I’m not particularly skilled at reading hieroglyphs, but I think they’re hinting at a Valentine’s Day release. At least, that’s what I got from the love letter emoji. And it makes sense given the banger’s romantic lyrics and feel-good vibe. (I might have listened to a snippet). In any case, Katy Cats are dying of thirst and this is the hydration we’ve been waiting for! 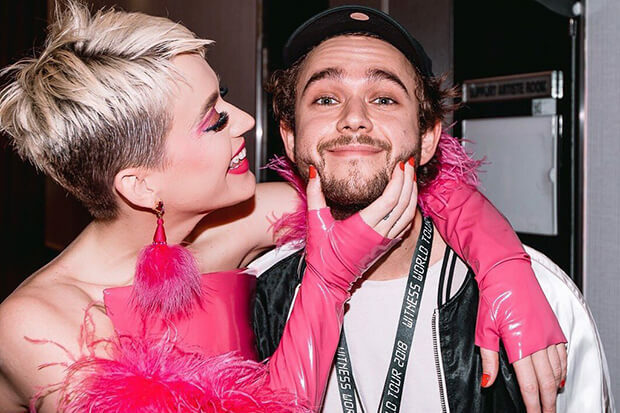 Rumors of a potential collaboration first went viral when Zedd joined Katy on the Australian leg of the Witness World Tour in late 2018. “I’m always relatively open about the fact that I make a lot of music with people,” the German DJ said in an interview. “It doesn’t always come out. But we’ve been working. And still wanting to release a song with her. I’ve always wanted to. So if we all get lucky maybe we’ll finish a song, and it will come out.” It looks like the stars finally aligned. Now if they could only film a video and give us a couple of live performances! Scroll through their riveting emoji exchange and see their official announcements below.